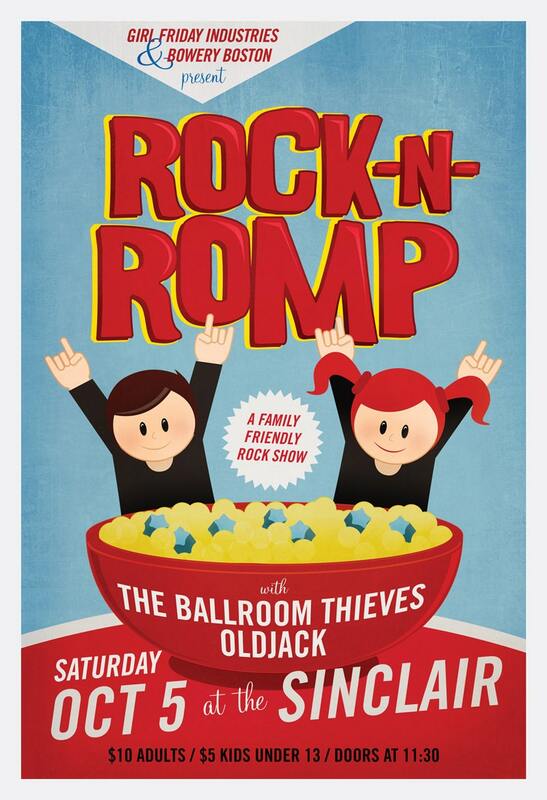 Rock 'n' Romp Gig Poster with The Ballroom Theives, OldJack // The Sinclair, Cambridge, MA 13"x19"
Printed with Epson archival-quality UltraChrome K3 inks on Epson Hot Press smooth fine art paper. Acid-free, archival, 100% cotton. 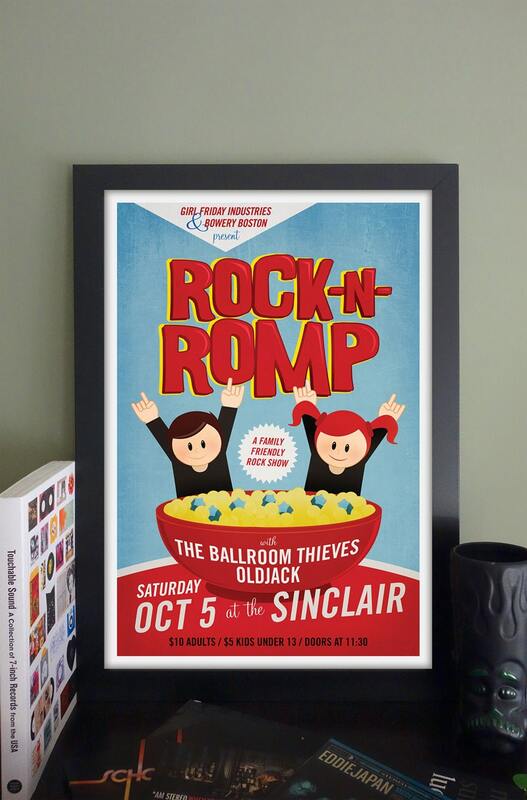 The poster is available in 8.5x11, 13x19 and 17x22. If you want another size, just ask!